With the advent of new machine learning techniques and powerful distributed compute systems, an increasing number of companies are developing pipelines to turn massive raw datasets into actionable signals. These systems often involve complex black-box models and sophisticated analytics algorithms. As individual teams focus on limited portions of the system, they become hyper-specialized and suffer from technical myopia: each component may function as intended, but the entire pipeline produces quantitatively unstable or chaotic results. At Two Sigma, we created the Quantitative Reliability Engineering (QRE) team to solve this problem. QRE takes a scientific approach to understanding and improving the methodology behind every step of a company's data analytics pipeline. QRE collaborates closely with teams of data scientists and engineers to verify the end-to-end results of the overall system and develop new scalable algorithms. Elijah, the tech lead of this team, will be talking about the work they do and the challenges they face, and how the way they think about this problem applies to the broader computation industry. 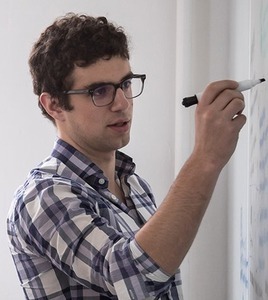 Elijah ben Izzy is a Software engineer at Two Sigma. He enjoys developing applications to solve mathematical and modeling problems, and occasionally appreciates a good deep-dive into legacy systems.